The power of the shared table is a beautiful thing. Communal eating gives us the opportunity to not only connect more deeply to our food, but also to one another. We’re excited to introduce you then, to Alica Forneret of Dinner Lab. Talking to Alica about Dinner Lab was both a fascinating foray into this cool supper club and an inspiration: Alica is a go-getter who is making things happen in the oft-maligned realm of journalism. Dinner Lab is a private membership supper club that will celebrate the third-year anniversary of its first dinner this summer. With hubs across the country—from Boston to New Orleans to San Francisco—Dinner Lab provides an opportunity for food lovers and food makers alike to find connection at the communal table. For members of Dinner Lab, it’s a way to network with new people and savor a good meal. 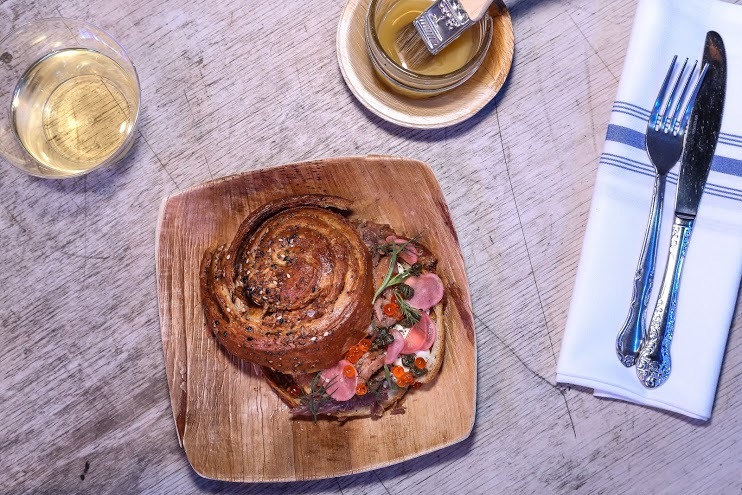 And for chefs with Dinner Lab, the event is a chance to try out recipes and experiment with flavors: a luxury that working in a restaurant rarely affords burgeoning food makers. How exactly does it work? Once you sign up for a membership in your city, Dinner Lab will release news of its shared dinners. Pick the menu that you prefer and 24 hours before the supper, you’ll get an e-mail on where to go. 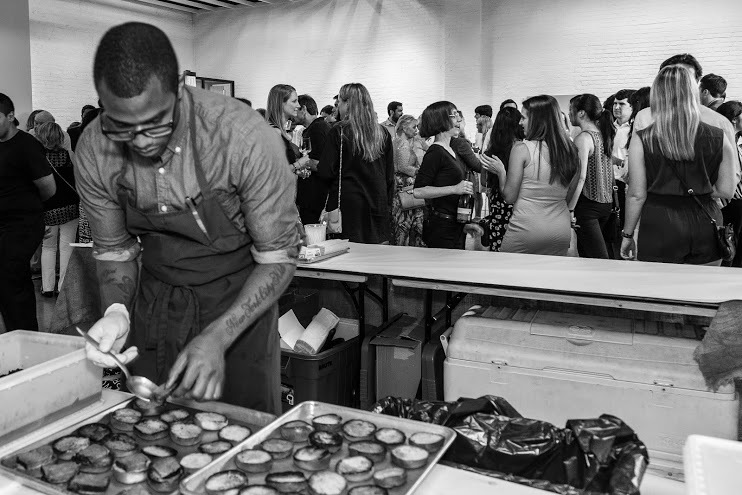 The unexpected location is part of what makes Dinner Lab such a special experience. Dinner Lab’s crew consistently reworks spaces like old gyms, abandoned churches, and industrial lots into creative epicenters for good food and conversation. Five courses, an open bar, and an amazing space: Dinner Lab is as much about inventive meals as it is about seeing our surroundings in new ways. A rooftop farm becomes the site for a shared tabled: a parking garage is converted into a kitchen. Alica’s own path to spearheading Dinner Lab’s Editorial Department was many years in the making. As an undergraduate, Alica studied communal eating practices in Duluth and New Orleans. After college, she moved to Mexico and continued to generate stories as a freelance writer. She later worked the Front of House at Dinner Lab in New Orleans before gravitating to Kinfolk. However, Alica saw in Dinner Lab an opportunity to channel the many amazing stories that were transpiring around the table into an online forum. Dinner Lab’s Editorial website will be launching in early fall and it promises to be a brilliant collection of the many narratives that make eating and cooking such a rich experience. It’s this last notion that has particularly stuck with me. Much like Alica, the heart of Loam’s work is in collecting people’s stories. This has required a measure of receptivity on our end to the many different permutations that sustainability narratives can take. Alica in fact asked me during our conversation why Loam wanted to profile Dinner Lab. “Except for our bamboo plates,” she said, “we don’t have a particular environmental angle.” To a degree, that’s the point. Community building can be as much a catalyst for sustainable living as learning the particulars of composting. When we share a meal with new friends, as is Dinner Lab's jam, we’re actively growing the networks of accountability between us. This in turn can generate the kind of mindfulness and mutual respect that engenders environmental concern. Recently, Alica wrote in to let me know that her experiences traveling the road for Dinner Lab showed her a new side of sustainability. "Although the environmental angle wasn't triggered immediately," Alica said, "so many of our chefs source locally, and make a point to support the purveyors in every market that we're in. That connection to sustainability and mindfulness is definitely a priority for our people. I've been on the road for a few weeks meeting with our purveyors and farmers, and it's become so clear to me that our employees aim to support their local communities, but (almost more importantly) also strive to keep that connection between the cities we're popping-up in and the people who work and live within them." Alica's field notes illuminate Dinner Lab's engagement in sustainability, both through their support of local communities and in their commitment to cultivating opportunities to savor a moment, a meal, together. As Dinner Lab’s emphasis on community and Alica’s passion for storytelling show us, food is never just one thing. A good meal is, at its core, a composite of a thousand stories. Everything we eat embeds us into a broader nexus of narratives on what it means to truly consume, to share, to cook. We are as much a part of the chef’s story as he or she is of ours; we are as entangled in the experience of the farmer as the roots of a plant are with the earth. And what better way to celebrate this simple truth than by gathering at the communal table?